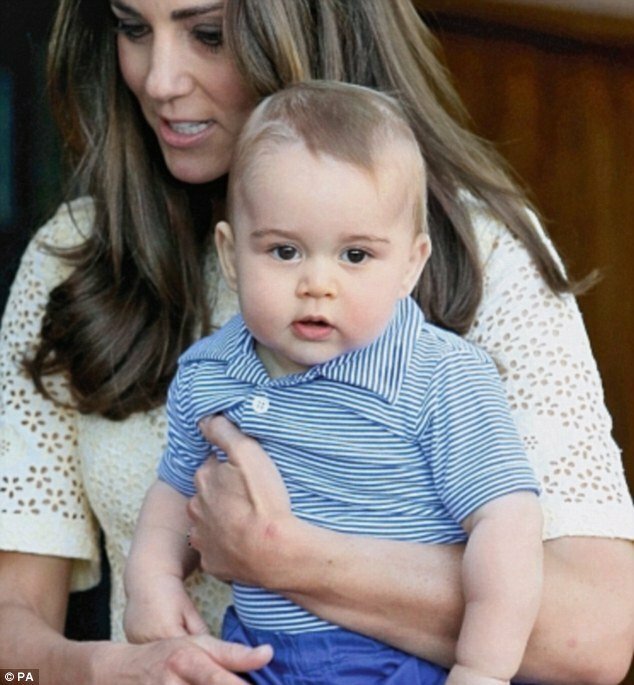 Prince George celebrated his first birthday on Tuesday, July 22, with a tea party at Kensington Palace. According to royal reports, Queen Elizabeth II has chosen a priceless gift for Prince George, from the Royal Collection, while first-edition Beatrix Potter books are also on the birthday boy’s thank-you list. Wooden toys, including a train set spelling out George’s name, are said to be proudly on display in the nursery. Over the course of the day, Prince George has received countless gifts from stores and companies around the country. My 1st Years, an online store that specializes in personalized goods, sent Prince George a hamper containing miniature Ugg boots with his name on them, a personalized pair of sneakers, and a smart blue-and-white striped shirt. Celebrities have also sent plenty of gifts. Victoria and David Beckham, who were guests at the wedding, are said to have sent designer clothes over to the palace, while celebrity chef Jamie Oliver and his clothes designer wife, Jools Oliver, who has her own line for Mothercare, have reportedly sent Prince George a collection of collared onesies and a new pair of navy cruiser shoes. Mothercare has also reportedly sent Prince George his very own plastic Kensington Palace, complete with a figurine of himself. A very special bottle of Pinot Noir from the Central Otagowine region in Queenstown, New Zealand, which Prince William and Kate Middleton visited in April, has also been sent to Kensington Palace. The magnum of Pinot Noir harvested the year the prince was born will be laid down in the cellars for George’s 18th birthday.